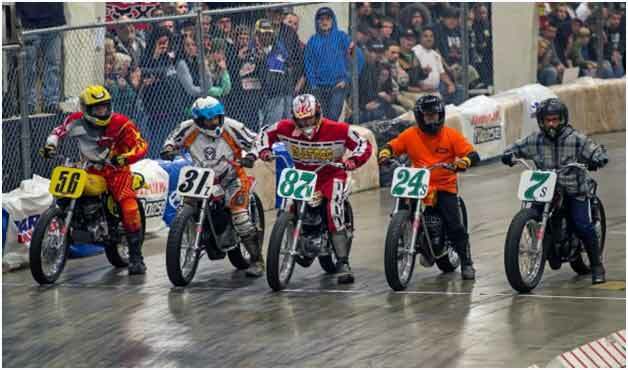 It really was a packed house, as spectators filled the grandstands and also stood between them to watch another bar-banging indoor short-track event at the Santa Clara County Fairgrounds. 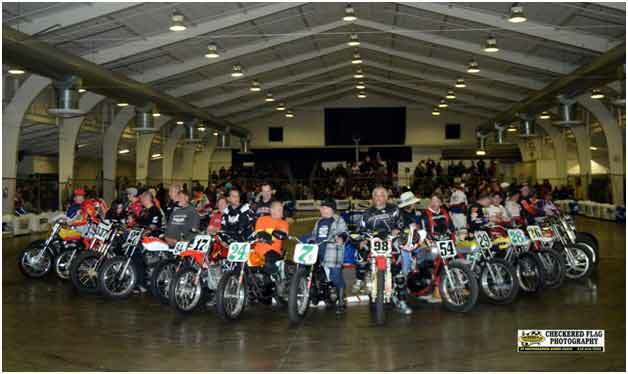 Promoted by Pete and Diane Francini and their P&D Promotions team, the eighth annual San Jose Indoor event was held in a pavilion that was used back in the 1960s for short-track racing, and it was once again outfitted with cyclone fencing around a polished-concrete short track the same size as was used back then. On Friday afternoon, open practice was held to lay down rubber on the track to provide the tacky surface needed for Saturday’s racing. Eighty entrants registered to ride nine classes on Saturday. 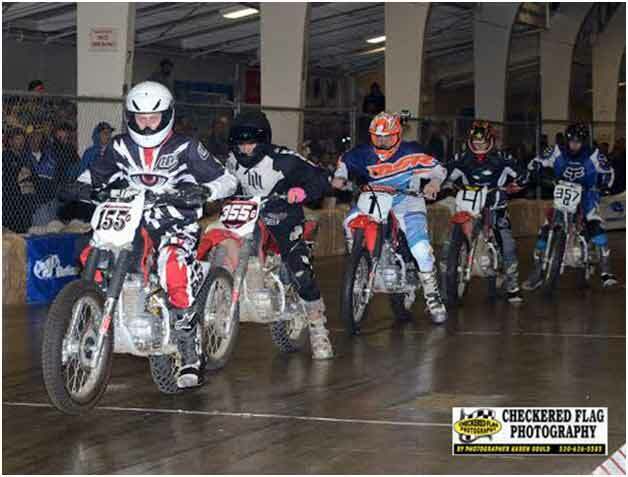 Some classes were split into A and B divisions to accommodate all the riders. 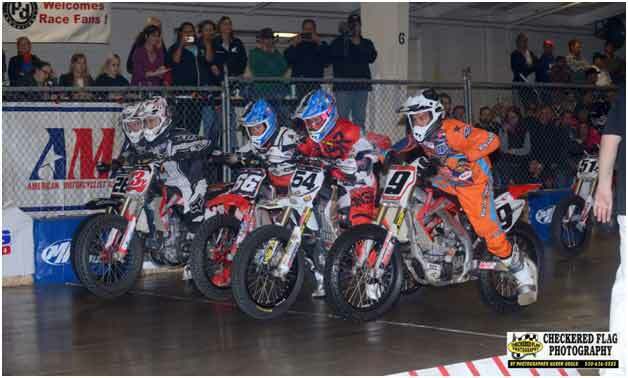 Event sponsors included Rod Lake, San Jose Harley-Davidson, Motion Pro and Motor Café, among others. The major Dash For Cash sponsors were Jerry Kennedy of Kennedy Trucking, Rod Lake, John Gardner, Ralph Coulter of Matco Tools, and Ronal McRae. The Open Pro Dash For Cash winner, Jared Mees, took home $2,561, which included the generous donations from the fans in the stands. 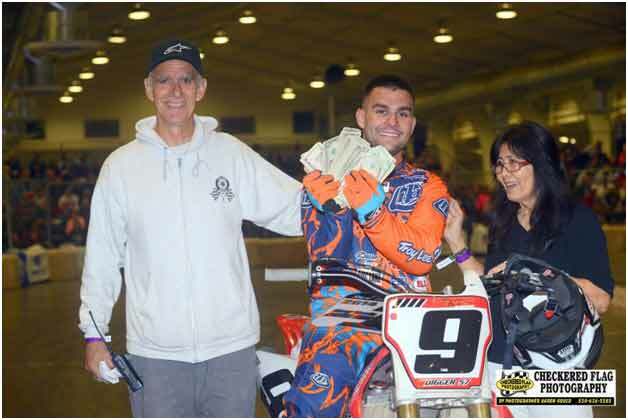 The 230cc Pro-class winner, John Self, earned $200. The Dash For Cash riders – Jared Mees, Mikey Rush, Dominic Colindres and Ryan Foster – were the winners of each of the four Pro heat races. 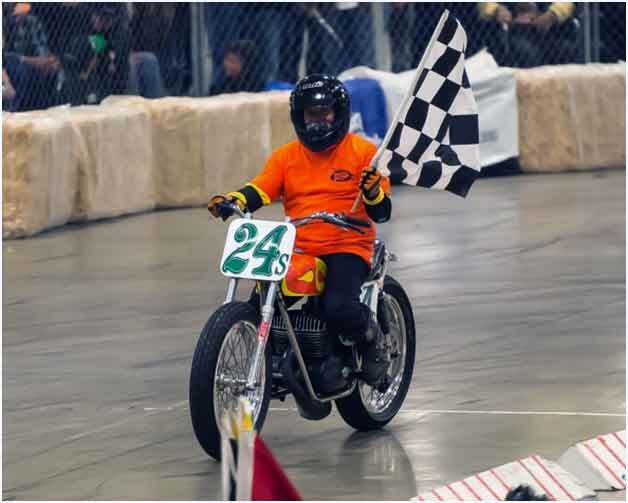 Mees was the man to beat in this five-lap dash, however, because as hard as the others rode, no one else was able to accomplish that quest, and Mees took the victory and the cash. 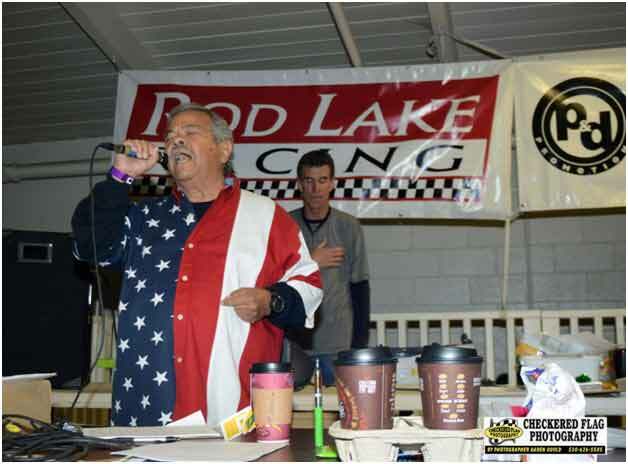 As is the custom at most public sporting events, the Star-Spangled Banner was performed, this time sung by Robert Bacosa Sr., who was clothed in a special patriotic red-white-and-blue shirt. The riders’ parade and event announcements followed. Practice and qualifying had been held earlier in the day, laying more rubber down on the track. 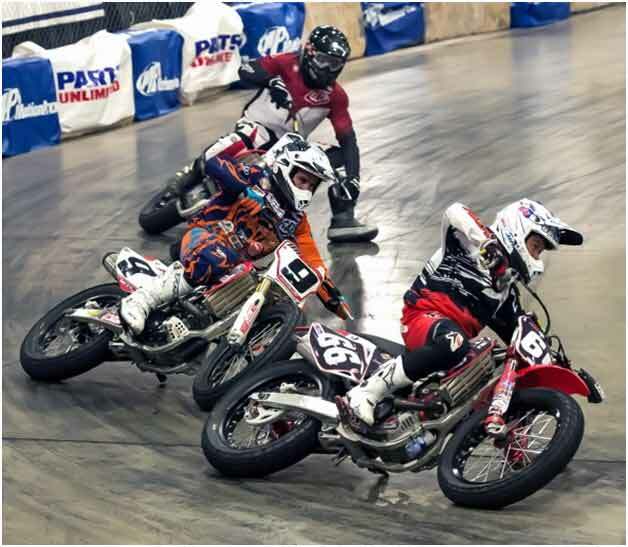 Heat races included four riders, while the main events included a maximum of 10, except for the Pro main, which included 12. 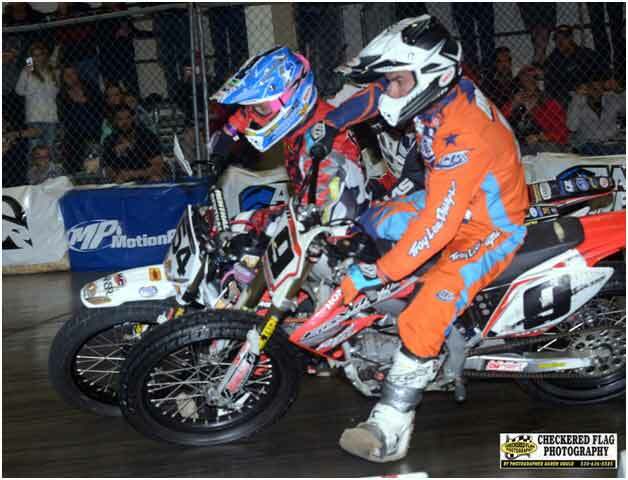 The top two finishers of four heat races and two semis made the 12-rider Pro main event. 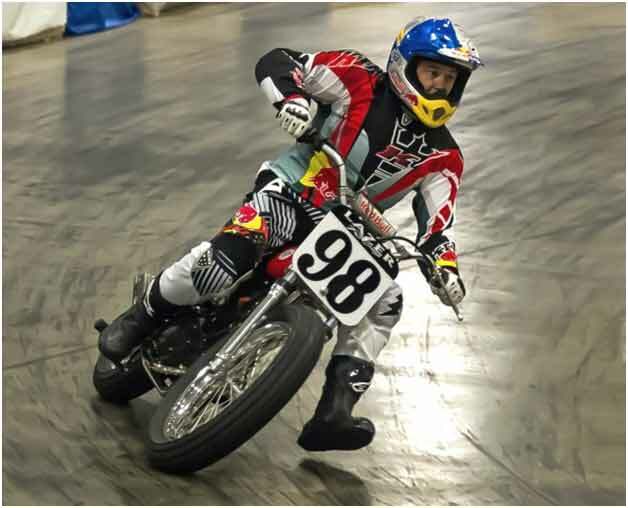 Dana Perri had spent a good amount of time picking himself and his bike up off the track during Friday’s practice, but on Saturday, when it counted, Perri rode flawlessly in the 10-rider Vintage main. He moved up from fourth position on lap eight to finish second at the end of lap 10. Jimmy Lewis and Roy Taboada followed. 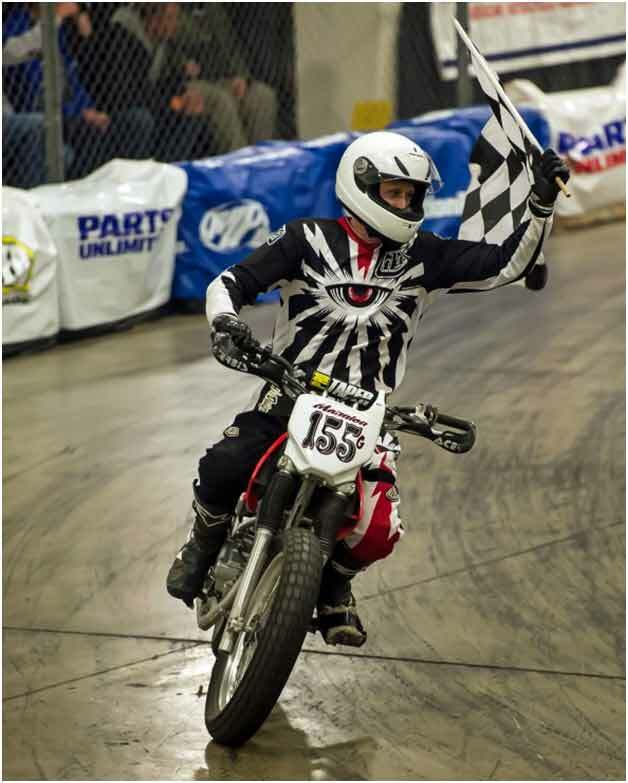 Michael Mannion, the race coordinator for the Nor Cal Short Track Series, easily won the 230cc Non-Pro class, getting the holeshot off the line and avoiding the chaos that was happening behind him. Todd Mello and Brian Garrahan finished second and third, respectively. Seventy-year-old Theroux finished fourth. 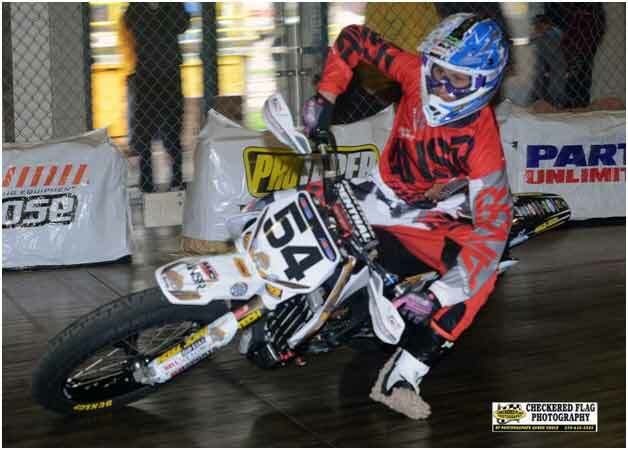 Earlier in the evening, Theroux had tangled with another rider in the heat race, causing Theroux to face-plant and that race to be restarted. 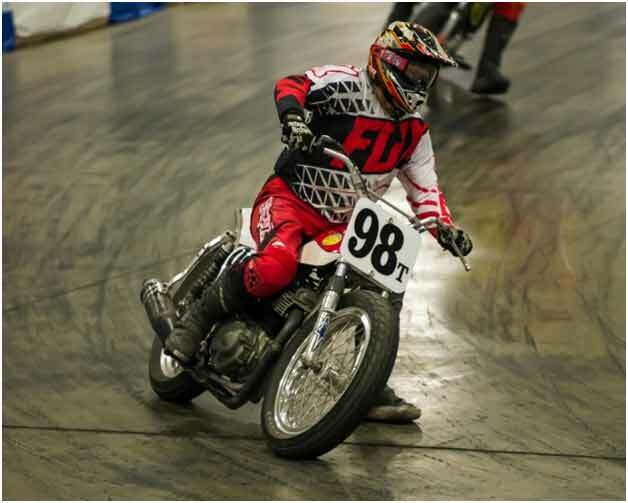 Motorcycle champion rider John Self has been trying to win the San Jose Indoor 230cc Pro class for a few years now. This year, he attained that goal. While the front position changed three times after a couple of restarts, the second position changed four times. 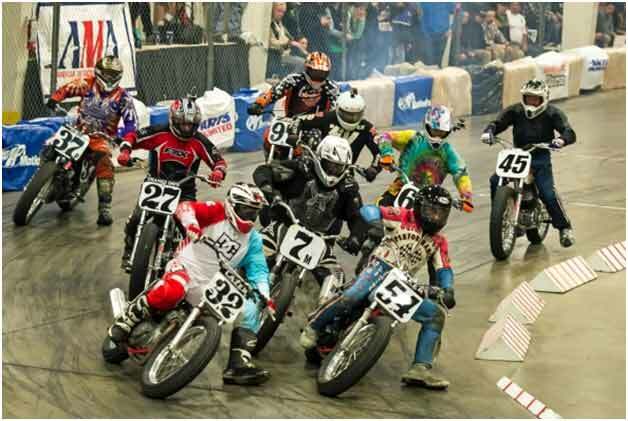 By the 10th lap, four riders of the eight who had started had been lapped, and several had crashed but continued to race. Rod Lake and “Boo Boo” Bob Scally followed Mannion to the finish. 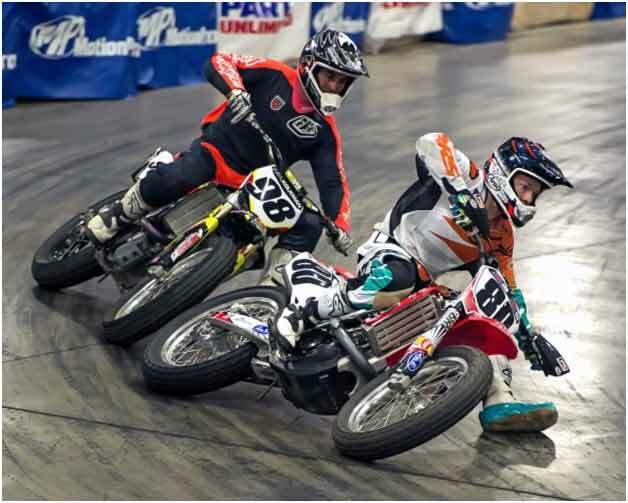 Robert McDonnell and Dana Perri have a long history of battling on the track. On this night, their Legends A battle also included seven others. 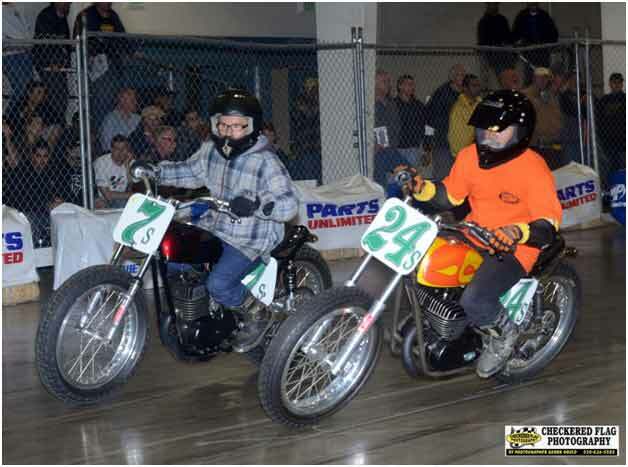 Brothers Larry and Robert Silva, probably two of the smallest men racing in San Jose, are fast – but they were not fast enough to win this class on this night. Turn after turn, McDonnell battled with Larry Silva until lap five, when Silva was able to get under McDonnell for the pass. McDonnell was then in the position to try to chase down the leader, Perri. Running out of laps, McDonnell had to settle for a second-place finish, behind Perri. Larry Silva and Brad Spencer finished third and fourth, respectively. 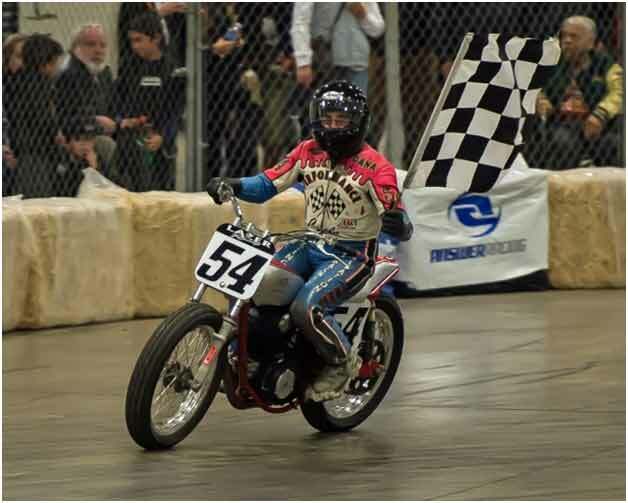 Robert Silva and Larry Silva finished one and two in the Vintage 250cc class, following a bold pass on the inside by Robert. Chris Rudy took third place in this one. Rod Lake took his spot on the Brakeless-class starting line. The green light lit up, the flag dropped, and Lake was on his way to his first victory on his brakeless machine. 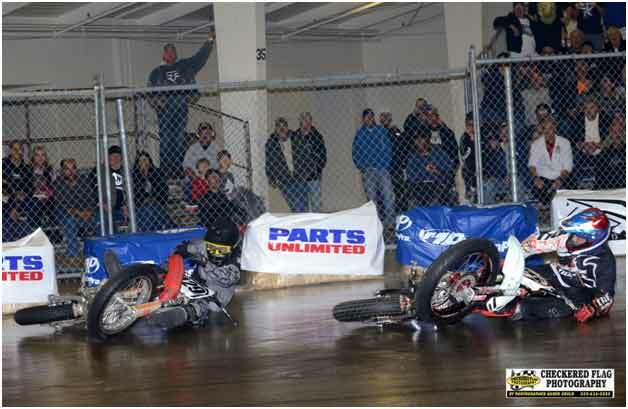 Rudy did everything he could to catch Lake, coming up on his rear wheel on each lap, but he was unable to make the pass. Behind them was Carry Buck, who makes racing look easy; as smooth as glass, Buck looks like he’s coasting around the track. In reality, slow and smooth is the fast way around this concrete track. Buck finished third. Earlier in the program, Lake had been honored with a new old-school-style helmet. The Run What You Brung field included seasoned riders and some youngsters. David Bush took the lead from the start, with Evan Anders in the second spot. Anders, who is only 17 years old, doesn’t yet have the experience to be smooth, but he is fast. Anthony Torres held on to third until the last lap, when he slid out, giving Robert Bush the chance he needed to round out the podium. 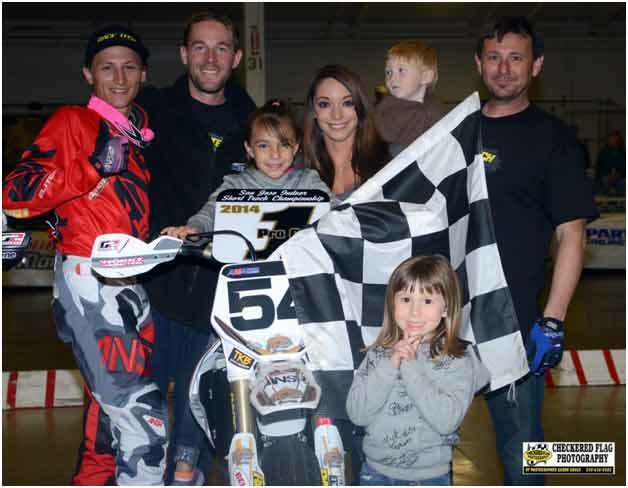 The San Jose Indoor program’s ads help to provide the funds for the Pro main-event purse. Thank you to major ad sponsors Top Oil, Steven’s Creek Toyota, Z-Con Specialty Services, Santa Clara Riders Unlimited, BG Labels and Tees, Road Rider, Mission Motorcycles, Garrahan Off Road Training, Unlimited Motorsports, Road Rider, SlabSides, Concrete Ready Mix Inc., Alex Bouja.com (real estate services), Little D’s Muffler & Brake, Stenberg-Sunseri Law (representing motorcyclists), and many more. 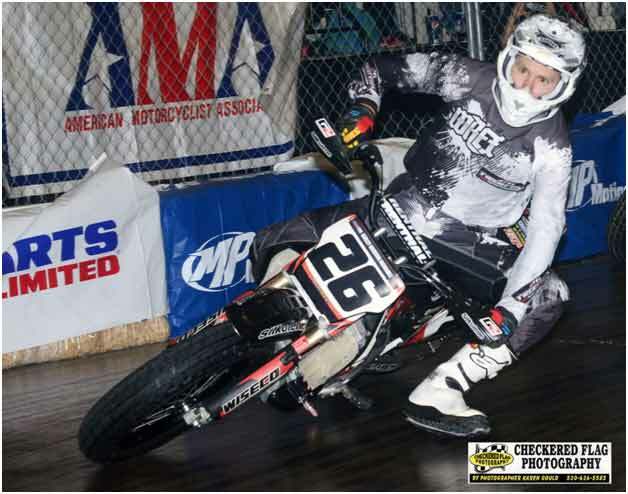 With these sponsors’ ads, the main-event winner’s purse was $2,500 and the runner-up’s purse was $1,500, and pay-outs went to the top 10 riders. Twelve riders lined up in three rows for the Open Pro class. Heat-race winners and the winner of the fastest semi were on row one, with Mees on the pole. The race would be like no other this night. 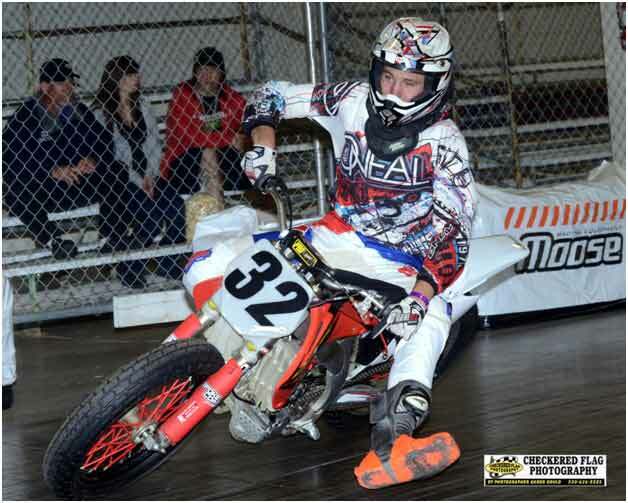 Mees got the holeshot. Stevie Bonsey was hit coming out of one, stalling his bike. 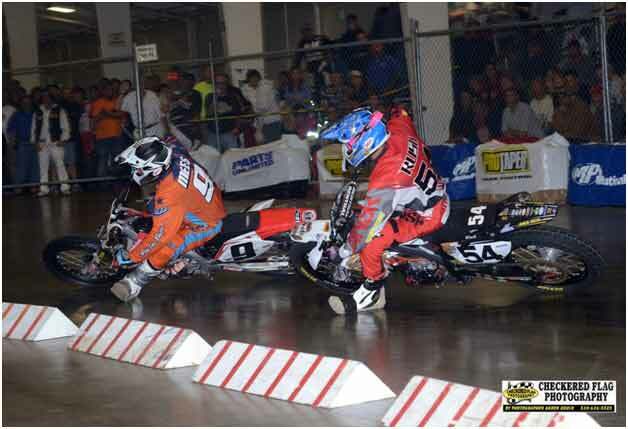 Dominic Colindres held second, behind Mees, through lap four, when Mikey Rush got around him. Colindres was hit by another rider; the other rider went down but Colindres held on, though he lost time. Ryan Foster, who still has double vision after a bad accident last season, took advantage of the mishap with Colindres, taking over the third spot, while Colindres fell back to sixth. On lap eight, Rush took the lead from Mees when Mees was knocked into the infield, though Mees managed to keep the bike on two wheels and got back onto the track. Foster was third. JethroHalbert held fourth. Lapping slower riders, Mees and Rush split, Foster continued in third, and JethroHalbert was fourth. On lap 19, Halbert went out in a crash with Bronson Bauman, while Foster got past Mees. On the final lap, Rush was still in front. Mees got back around Foster. Brandon Bergen finished fourth, followed by Colindres. The other seven riders were no longer on the lead lap. 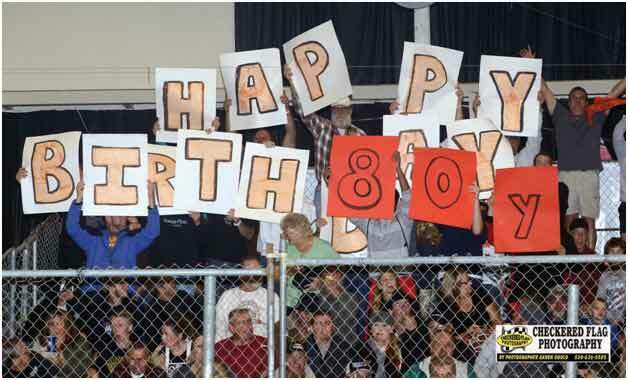 In addition to enjoying the racing on the track, a whole section of spectators in the grandstands was celebrating the 60th birthday of number 80Y, Butch Cochran. Happy birthday, Butch! During the evening’s racing, a young man collapsed in the stands and was attended to by the track’s EMTs. He was transported to the hospital, where it was discovered that he suffers from a heart condition that he was unaware of. At last report, he was doing well. 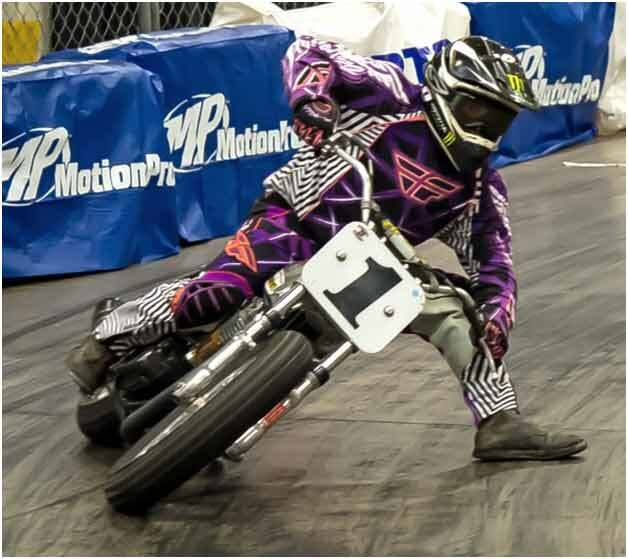 P&D Promotions, Pete and Diane, and the rest of the team look forward to the ninth annual San Jose Indoor event (the date will be announced soon), and they thank the sponsors, supporters, fans, volunteers and fairgrounds personnel for their part in another successful indoor event. 150 MAIN: 1. Michael Mannion; 2. Frank Young; 3. Bill Hermant; 4. Kenneth Martin; 5. Travis Schwank; 6. Leah Martin. 230 NON-PRO: 1. Michael Mannion; 2. Tedd Mello; 3. Brian Garrahan; 4. Nick Theroux; 5. Anthony LaRocca; 6. Harry Kunsman. 230 PRO MAIN: 1. John Self; 2. Rod Lake; 3. Bob Scally; 4. Tom Alves; 5. Dante D’Ambruoso; 6. Ryan Chambers; 7. Ricky Rinauro; 8. Kerry Pucio; 9. Randy Freeman. DASH FOR CASH: 1. 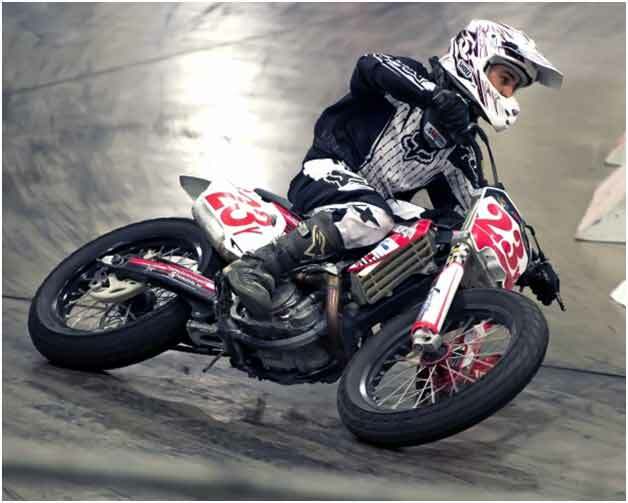 Jared Mees; 2. Mikey Rush; 3. Dominic Colindres; 4. Ryan Foster. PRO MAIN: 1. Mikey Rush; 2. 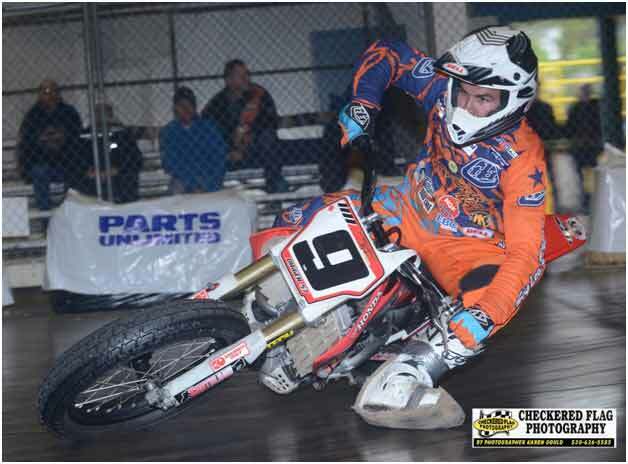 Jared Mees; 3. Ryan Foster; 4. Brandon Bergen; 5. Dominic Colindres; 6. Bronson Bauman; 7. Shawn Raggio; 8. James Monaco; 9. Rodney Spencer Jr.; 10. JethroHalbert; 11.Curtis Peebles; 12. Stevie Bonsey. VINTAGE: 1. Dana Perri; 2. Brad Spencer; 3. Jimmy Lewis; 4. Roy Taboada; 5. Don Bailey; 6. David Bush; 7. Rick Shafer; 8. Michael Dobbs; 9. Paul Herman; 10. Tim Rott. VINTAGE 250: 1. Robert Silva; 2.Larry Silva; 3.Chris Rudy; 4.John LaRocca; 5.Larry Greene; 6. Randy Freeman. RUN WHAT YOU BRUNG: 1. David Bush; 2. Evan Anders; 3. Robert Bush; 4. Brian Garrahan; 5. Kevin Keeran; 6. Anthony Torres; 7. John Larson; 8. Paul Tinoco; 9. Scotty Alves; 10. Jimmy McAllister. BRAKELESS: 1. Rod Lake; 2. Chris Rudy; 3. Carry Buck. LEGENDS A: 1. Dana Perri; 2. Robert McDonnell; 3. Larry Silva; 4. Brad Spencer; 5. Robert Silva; 6. Harold Raggio; 7. Bob Scally; 8. Bill McDonnell; 9. Dennis Cameron. LEGENDS B: 1. Don Bailey; 2. Roy Taboada; 3. Nick Theroux; 4. Terry Graham; 5. Larry Green; 6. John LaRocca; 7. Rick Shafer; 8. Bud Riddle; 9. Bill Hermant.